The SFHA Property Repairs and Asset Management Conference resulted in an exciting few days, with delegates getting the chance to enter competitions throughout the conference. 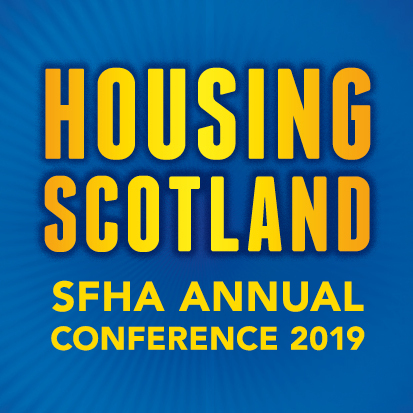 The SFHA is delighted to announce that George McLeod, Maintenance Officer at Fife Housing Association managed to get all the letters in the SFHA’s Exhibitor Word Game and won a tablet which was very kindly donated by HUB Asset Management. The prize was presented by Graeme Reid of HUB Asset Management.